After a short hiatus from releasing new music, Canadian singer-songwriter Shawn Mendes dropped two new songs. 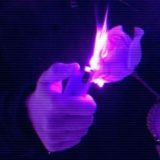 This is our first taste of new music from the artist since his album “Illuminate” that came out in 2016. On March 16th, Mendes began cryptically posting photos on Instagram and Twitter of beige and pink color blocks. 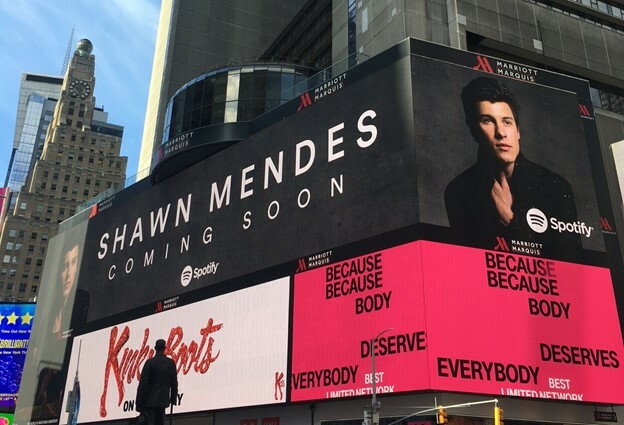 A few days later fans noticed a Spotify banner in Times Square that said “Shawn Mendes Coming Soon.” It was at this point in time that fans knew they would be hearing new music from the artist coming out soon. On March 22nd the first single, “In My Blood” from his new album was released. The song starts off with the familiar tune of an acoustic guitar, and this is something that fans adore because it is a familiar sound from his original music. As the song continues it takes a sudden turn as a drum boosts the tune that turns it into a rock song. Mendes’ music style can be described as acoustic pop and pop-rock, and this song shows that he will be sticking to these categories. Shortly before the first tune was released, Mendes took to Instagram to thanks his fans. “In My Blood” is a song that the artist wrote in hopes for his fans to relate to the more mature themes that it explores. Mendes has recently spoken out about how he has been suffering from anxiety over the past few years, and this song features the time in his life that he realized it was part of his story too. The most powerful part of the song comes from the conclusion where he simply states that giving up just isn’t in his blood. The following day Mendes released his second single, “Lost In Japan.” Of the two songs released, this one is considered to be more fun than featuring his raw emotions. The jazzy track follows the tale of a man longing for a lover who can’t seem to escape his mind. Upon listening to this song you might just find yourself dreaming of getting lost in Japan too. Although the songs are polar opposites in nature, this is an exciting way to kick off the excitement of a new album from the young sensation. While you wait for his album to be released in the coming months, you can listen to both of his new singles on iTunes, Spotify and YouTube.